KHIPU networks have been designing, deploying, maintaining and supporting network infrastructure since 2005.We have excellent relationships with many major vendors and also niche vendors. Small networks to very large enterprise / campus networks supporting high performance, high capacity, resilient connectivity for all applications ensuring the integrity and security of the data carried. Small to very large wireless networks, supporting lone remote users, to thousands of users within a busy campus environment. Traditionally the networks which inter-connect offices, campuses, retail etc. KHIPU Networks have a range of cost effective, secure solutions to maximum your connectivity, reducing costs, increasing performance and security whether you wish to interconnect a couple of sites to a world-wide networks. Todays data centres provide the connectivity to critical systems and services, high performance, high security, high resilience and maximum connectivity for core servers whether virtual or dedicated. The ability to provide WiFi no matter where you are, from ad hoc construction sites, remote offices, schools to fleets of buses, cars, trains, boats. The MLAN can be a secure extension of your existing LAN/WLAN, providing the same security and services everywhere. The ability to create instant networks (LAN/WLAN & WAN) for emergency / disaster support, special projects, surveillance, etc. Ideal for environments where access to traditional communication infrastructure is not available or has been damaged. Network range can be extended via “air-mesh” where tethered drones can provide an additional 14Km of range between nodes. 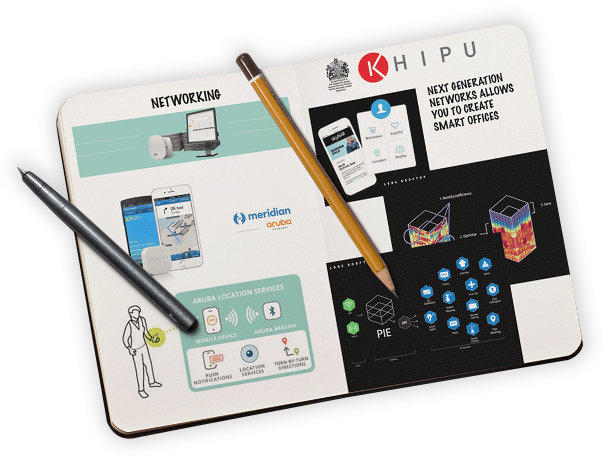 KHIPU networks have SDN capable products across our LAN, WLAN, MLAN & DCN portfolio.